Does Anybody Know…? – a new website helps you get answers from your network. There’s an impressive new website called Aardvark that helps you answer the question: “Does anybody know…?” by tapping your online networks. This is not a search engine. The results are not a list of websites that may or may not get you the answers you need. The results are from real people in real time. So, how well does it work? My first question was: “What’s the best Italian restaurant in midtown Manhattan?” Within moments, I received an answer from Sara: “Becco is really great, on 46th between 8th and 9th(?). possibly 9th and 10th. it’s a little pricy but if you want to eat in midtown that’s the norm.” Not bad. Then I asked, “Where is the best place to see the 2009 Macy’s 4th of July fireworks display in NYC?” I happen to know that, this year, the barges from which the fireworks are launched will be along the Hudson River (not the East River, as in years past) and according to Macy’s, the best place to view the show is on the west side: 12th Avenue below 59th Street, so this was a bit of a test. The first answer came from Ling: “bring a chair to sit on the FDR, or watch it from someone’s rooftop.” That would have been good advice last year, but the FDR is on the east side of Manhattan. The second answer came from Josh: “Battery Park is a good place, also top of the Empire State Building.” Again, Battery Park — at the southern tip of Manhattan, was good viewing for last year’s show, but this year? Not so much. 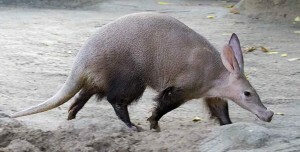 So, is Aardvark a failure? Time will tell as the site matures, but so far, I don’t think so. The site and integration with Facebook, email, and IM is great. So, mechanically, it works – I can ask questions and get answers very quickly and efficiently. The quality of the answers is another matter. It seems that Aardvark may be better at getting opinion answers (best Italian restaurant?) than facts (where can I see the fireworks?). Besides, there are some questions that are best left to Google (I could have–and did–easily found the relevant information about the prime fireworks viewing with a quick web search). The thing that sets Aardvark apart from Internet search engines is the human touch. Sometimes, that is a good thing, and sometimes, well, it’s not. Nevertheless, I’m looking forward to asking and answering questions on this interesting new website. And I’m looking forward to exploring how this sort of approach can advance KM efforts. So, in the spirit of the human touch, please let me know what you think of Aardvark (feel free to sign up with this link: http://vark.com/s/hUnq) and leave a comment below. There’s been a lot in the blogosphere about social networks exclusively for various professionals (see e.g., LawLink and Legal OnRamp for lawyers and Sermo for doctors). You can read more about them in my blog post Social Networking is Dead. Now, from the “get’em hooked early” department comes a social network for law students called CasemakerX. Lawriter, LLC a subsidiary of Collexis Holdings Inc. (OTCBB: CLXS) announced today the development of the first professional social network exclusively for law students. The site www.CasemakerX.com was showcased in Beta format at the American Association of Law Librarians Conference in Portland in July. A full launch is expected in early fall 2008 to coincide with the incoming class of new law students. Along with the social networking site, CasemakerX will provide free access to the Casemaker Suite of Applications for the U.S. law student community. CasemakerX is a free service for law students supported by the Casemaker Bar Consortium and its 475,000 attorney members across the U.S. Law students, faculty and law librarians can sign up for the site and register from accredited Law Schools. Once a profile is created, users are networked by areas like corresponding law school, fields of interest, graduation year, etc. Users can also enjoy a host of social networking components including capabilities like blogging, instant messaging, photo sharing, job postings, video streaming via YouTube™, and iPhone plug-ins. Lawriter’s Casemaker suite of legal discovery products is available on the site and includes a library of over 12 Million documents in federal and state case law. The site also includes the recently released Casemaker Medical application, with full text search of over 15 Million biomedical abstracts. Sounds interesting. And I like the idea that this is not just another Facebook-type site that is used primarily for having fun (although, Facebook is a great platform to make business connections, too). If this becomes popular, I think that it will add to the expectations of young lawyers – who will expect “Web 2.0” tools at work. For more on that, see Attorney 2.0 – Generation Y in Your Law Firm.